As a psychologist in practice with my wife, Laurel, an educational specialist, we offer comprehensive psychological and educational services to children, adolescents, and adults. We do individual, family and marital psychotherapy and psychological assessments. 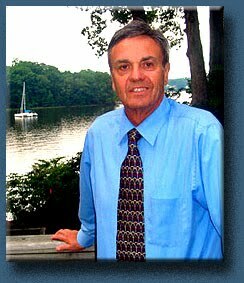 We have been in practice in Anne Arundel County for over 27 years. With nearly 30 years of experience, I have come to know that most people are good and that people can solve their problems. Working with my patients has been a privilege. Life is not always easy for anyone, and it takes courage to face problems. I believe we can change. Those who do, regardless of age, can be happier and self-fulfilled. I believe change comes in the context of relationships, and relationship is the heart of good psychotherapy. I will always be grateful for the opportunity to help a person or family in need of problem solving. My patients have led me to make positive changes in my life and thinking as I have learned from each one. We work in and treat a variety of clinical areas. 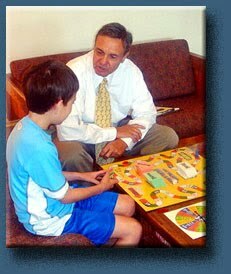 We specialize in working with children, adolescents, and adults with attention deficit and behavior disorders. We work closely with pediatricians and other physicians in determining medications as needed. Psychological and educational assessment are also done to identify problems in school, offer remediation strategies, and assist parents to obtain needed services from the public school system as mandated by federal law. Civil and criminal competency assessments. Assessment of victims of domestic violence, physical and or sexual abuse and parental neglect are done in cooperation with social services. I received my doctorate degree from the College of William and Mary in Virginia and am a licensed psychologist in Maryland. In addition to being in private practice for over 27 years, I was a staff psychologist at Anne Arundel County mental health for over 20 years, worked as a staff psychologist at Crownsville hospital for five years and also worked part time at the Springfield Hospital Center. I am a consulting psychologist at Laurel Regional Hospital. I have much experience with patients who have severe mental health problems such as schizophrenia and bipolar disorder. I am certified in addiction treatment by the National Board of Addiction Examiners. I have been qualified as an expert in psychology, providing expert testimony in numerous counties throughout Maryland, Virginia and the District of Columbia. My wife, Laurel, earned her Master’s degree in Education specializing in Reading at Elmira College in New York, and has continued her education at Temple University, in Philadelphia, and the University of Maryland. She is a certified Reading Recovery teacher. She was one of the first thirty teachers in Prince George’s County to be selected as a Master/Mentor Teacher to work with new teachers for several years before her retirement from public school teaching. Her experience as a reading specialist, instructional specialist, and Master/Mentor Teacher, enables us to add educational assessments and treatment to our psychological services. I participate as an in network provider for most insurance companies. Court related services are generally not covered by insurance and there are limitation of coverage in educational psychological testing. My billing consultant and I make a concerted effort to obtain the maximum insurance benefit for every patient I treat. Please call our office to make an appointment. I make all of my own appointments, so if you can’t reach me immediately, I will return your call as soon as possible. Once your appointment is scheduled, follow the link to our Patient Information Forms, fill them out, and bring them with you to the first ppointment. Our office manager, Susan Bowen, will contact you to verify your insurance information in order to obtain preauthorization, if necessary. Louise Macy of Advantage Billing and I will make every effort to obtain the maximum insurance benefit available according to your plan. Please follow the link provided on the left frame above for directions and forms. Our office is in the lower level of our home, so please park in the driveway and follow the sidewalk to the right of the house around to the waiting room.